Hi, I'd like to show you this page I found on Household Furniture's website. Low Price Guarantee: We will match any confirmed price from any stocking retailer in El Paso. 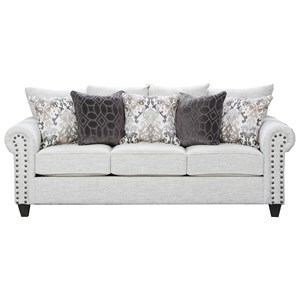 This elegant transitional sofa makes a wonderful centerpiece for your living room. 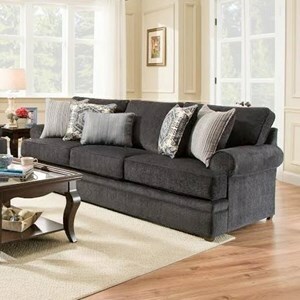 Featuring tapered legs and flared tapered arms, the sofa includes a cushioned back and seat for extended comfort and support. 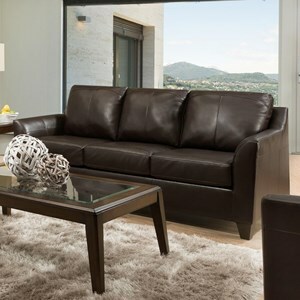 Able to seat up to three, this well-crafted sofa is an elegant addition to your modern home. 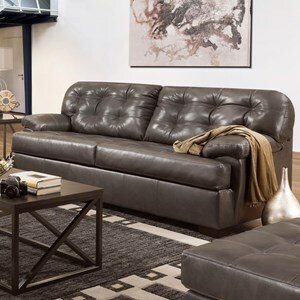 The 6485 Transitional Sofa with Flared Arms by United Furniture Industries at Household Furniture in the El Paso & Horizon City, TX area. Product availability may vary. Contact us for the most current availability on this product. 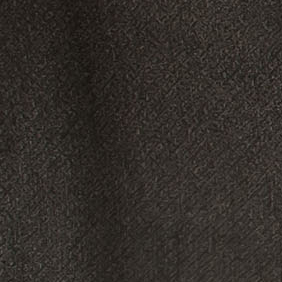 Fabric Options Available as shown in select fabric options. Frame Construction Hardwood and plywood frames. Seat Support Sinuous wire springs. 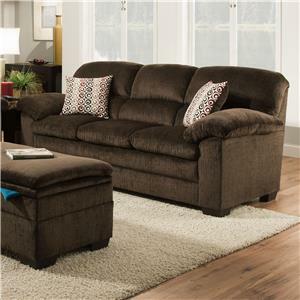 Browse other items in the 6485 collection from Household Furniture in the El Paso & Horizon City, TX area. Find the best furniture and mattresses in the El Paso, Horizon City, Las Cruces, Anthony, Chaparral, Fort Bliss, Sunland Park, Fabens, Canutillo, San Elizario, Socorro area. Household Furniture features a great selection of living room, bedroom, dining room, home office, entertainment, accent, furniture, and mattresses, and can help you with your home design and decorating. View recent additions to our online furniture gallery. 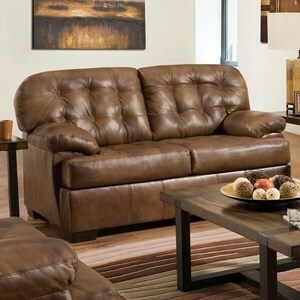 Household Furniture offers great quality furniture, at a low price to the El Paso & Horizon City, TX area. Online pricing is subject to verification and correction by Household Furniture. Prices may change without notice. Please contact your local store to confirm pricing.